Las Vegas, NV (Jan 23, 2015) Daily Racing Form, title sponsor of the Daily Racing Form/NTRA National Handicapping Championship since its inception in 1999 and operator of NHCQualify.com, the largest NHC tournament qualifying site, has driven unprecedented growth in this year’s NHC tournament. A record field of 606 entrants will compete for the largest purse in handicapping tournament history – $2,363,000 – and an Eclipse Award as “Horseplayer of the Year” at this weekend’s Championship. The three- day tournament, Friday to Sunday at Treasure Island, will offer a first-place prize of $800,000. DRF will also offer racing fans across the country a chance to participate along with players in Las Vegas, including a chance to win the first online qualifying seat of 2015 to the 2016 NHC. On Saturday, January 24th, there will be a $20,000 ‘Play Along with the NHC’ guaranteed prize pool contest on NHCQualify.com. The entry fee is $50 per entry. Players may purchase two entries per person. The contest will be based upon the same 8 mandatory races as in the NHC. 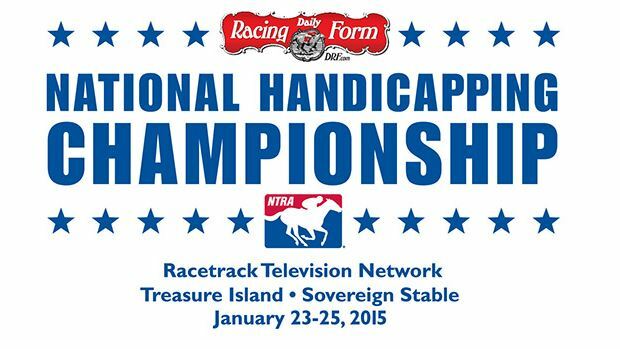 On Sunday, January 25, there will be a ‘Win a 2016 NHC Seat’ contest on NHCQualify.com. The entry fee is $50 and players can win a seat into the 2016 NHC. Players must be members of the 2015 NHC Tour, however no Tour points will be awarded. An additional $5,000 in prizes will be awarded to the top five finishers.